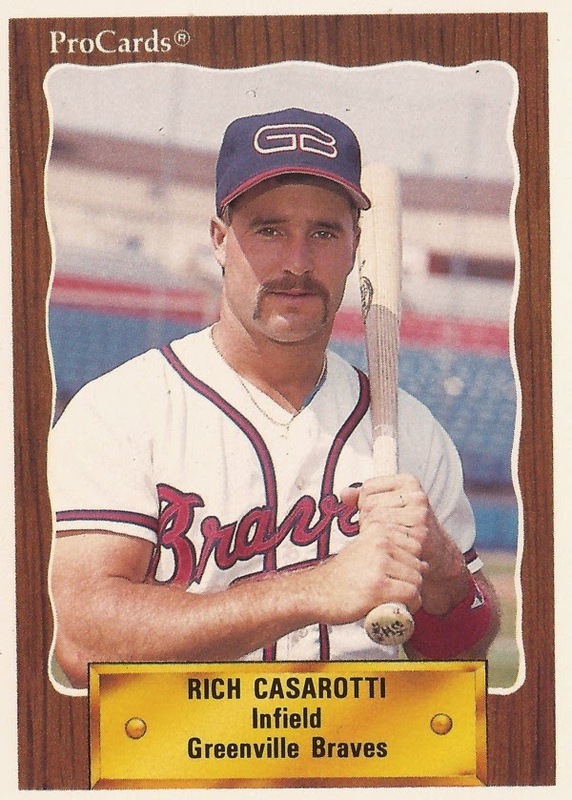 Rich Casarotti was at AAA in 1991 and he helped his team to an extra-inning win. Casarotti's Richmond Braves scored three runs to break a 14th-inning stalemate and take the win. Knocking in one of those runs on a single by Casarotti, according to The Associated Press. Casarotti made AAA in his fifth season as a pro. He played one more season. He never made the majors. Casarotti began his career in 1987, taken by the Braves in the 17th round of the draft out of Santa Rosa Junior College in California. Casarotti began at rookie Pulaski. He hit .304 in 66 games. He hit four home runs and knocked in 24. He moved to single-A Burlington and Durham for 1988. Between them, he continued to hit, turning in a .291 average and hitting 10 home runs. He split 1989 between Durham and AA Greenville. At Durham, Casarotti tied an April game with a ground out at Durham. He walked and scored in another game that month. Casarotti played 1990 fully at Greenville. The infielder's average dipped to .226. He returned to Greenville for 1991. He also got into 29 games that year at AAA Richmond. He hit .200 at Richmond. His 1991 season was his last in the Braves organization. He played 1992 with the Cubs at AA Charlotte. He hit .203 in 68 games. He knocked in two runs on a triple in a May game. It was his final season as a pro.